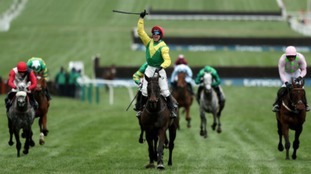 Sizing John gave Irish trainer Jessica Harrington her first victory in the Timico Cheltenham Gold Cup. The race is a steeplechase event over a distance of over 5,300m. There are 7 horses based in the region taking part in the Gold Cup Race. Who will win the race to Cheltenham Festival? We sent our three reporters on a mission to find the best mode of transport to Prestbury Park for the penultimate day of racing. From Bentley, to steam train to public transport. The first female jockey in 33 years to race in the Cheltenham Gold Cup has told ITV News "she's not troubled" by being the only woman. 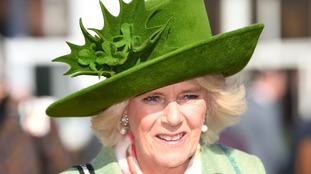 The Duchess of Cornwall is among the famous guests at the Cheltenham Festival as the event celebrates Ladies Day. Un Temps Pour Tout has retained his title in the Ultima Handicap, ensuring Somerset trainer David Pipe a place in the history books. The three mile race came down to a photo-finish with Un Temps Pour Tout narrowly beating Singlefarmpayment to the line, despite being nearly a stone heavier. The horse, which had odds of 14-1, is only the third to claim back to back wins in the Cheltenham race. 260,000 people are expected to pass through the gates during this week's festival.